Perfect! 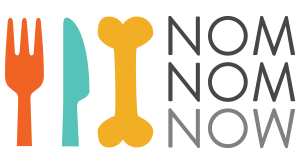 All of our fresh dog food recipes here at NomNomNow are suitable for senior dogs. Veterinary Nutritionist Dr. Justin Shmalberg has kept seniors in mind when developing all of our recipes, with soft textures, essential protein content, and a well-balanced nutrient profile that make them ideal for our senior dogs. Because we ask for your dog's age upon sign-up, we'll be even better able to assess their caloric needs initially, and adapt as needed over time. In your account (available immediately after sign up), please also tell us about any important health history and dietary background information that we should know about your senior to make sure we are providing the proper meal plan for their needs. The more information you can provide us, the better! You can also read how about how we have formulated our recipes for seniors here. Has stool that is a different color or contains undigested ingredients?